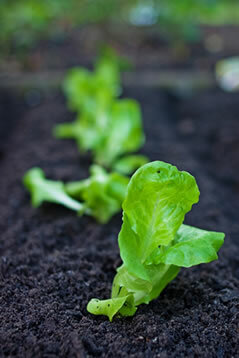 Enagic® Water for Your Garden, How Does Your Garden Grow? Asparagus, beets, cabbage, cauliflower, celery, carrots, mushrooms, parsley, geraniums, irises, hydrangeas (for pink blooms), and lilacs. Hydrangeas are a rare plant, as the pH of your water will change the color of the blooms. Rhododendrons, begonias, azaleas, heathers, hydrangeas (for blue blooms), peanuts, cucumbers, potatoes, chili peppers, eggplant, garlic, chives, artichoke, tomatoes, and most berries. Roses grow most vibrantly with pH 5.5 – 6.5, so you may want to experiment with Slightly Acidic Water 6.0 and Neutral Water to see which one yields the healthiest roses with your particular soil. Spinach, parsnips, dahlias, chrysanthemums, brussels sprouts, sweet peas, broccoli, asparagus, cantaloupe, kiwi, mint, lettuce, onions, bell peppers, and tulips. No matter which Enagic® Water you choose for your garden, you can have peace of mind that your plants will be healthy with clean, high-quality water. And think of how delicious your fruits and vegetables will taste after they’ve been watered with your Enagic® water ionizing machine, instead of chlorinated tap water. You can also treat pants with 2.5 pH water to kill Aphid’s and Fungus. Spraying 2.5 pH water (highly oxidizing) under the leaves and on the soil will destroy Fungus growth as well as killing Aphid’s and larvae attempting to grow on the plants. This is a totally natural treatment that does not adversely affect the health of the plants. Cut Flowers can remain Fresh for days and even weeks longer! Putting your Cut Flowers in 8.5 pH water after trimming them will provide excellent hydrating support to the bloom’s for much longer enjoyment. Replenishing this water weekly or as needed extends their support. Blessings to you and your efforts. Previous Previous post: You’d be surprised who some of our customers are!